Wanderlusts are in for an amazing treat this month of March! To celebrate its 23rd year in the business, Cebu Pacific will be having its biggest sale event to date! To thank the Filipinos for making Cebu Pacific the country’s leading carrier, every Juan’s favorite carrier will be offering more than a MILLION seats and sales on sale this March. But that’s not all! There will also be huge discounts on group deals, inflight meals, baggage allowance, and more! Read on to know more about Cebu Pacific’s gigantic gift for every JUAN! 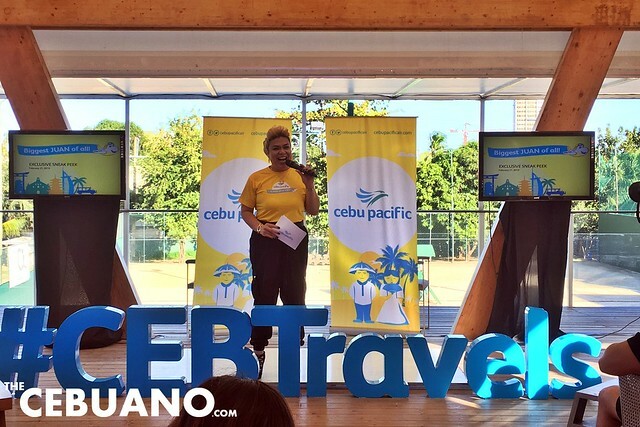 Last February 21, Cebu Pacific unveiled to members of the local media their exciting offering for the whole month of March. Hosted by Cebu personality Jude Bacalso, the intimate gathering was exciting and was filled with fun activities and games. 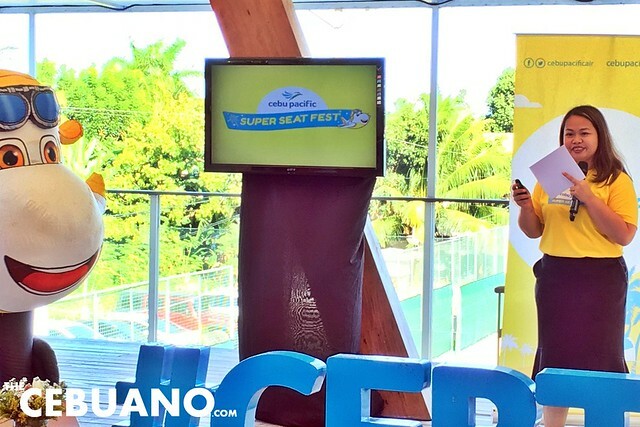 Cebu Pacific Director for Marketing Blessie Cruz excitedly unveils the exciting offerings which make the Super Seat Fest the company’s grandest sale event ever! Get the biggest deals this March at Cebu Pacific’s Super Seat Fest! To stay on the loop and to never miss a single amazing deal in the biggest travel sale this year, follow the official Cebu Pacific social media accounts now! The New Vispop 2019 is Now Accepting Entries! Next story Angus Dan’s Ribs, Steaks, & Seafood is Now Open! TheCebuano is a Cebu news, lifestyle, and events blog. TheCebuano is a Cebu news, lifestyle, and events blog. Stay in the loop by following or subscribing to TheCebuano on Facebook, Twitter, and Instagram.